In his post of Sep 20, 2008 5:34 pm on the CODOH thread NAFCASH throws Muehlenkamp a bone, an enlightened spirit using the handle "grenadier" disgraced himself with the message commented hereafter. Actually religious considerations of respect for the dead are not a mere pretext but a real issue when it comes to excavation at Nazi mass killing sites, as becomes apparent from the article A Monumental Failure at Belzec, written in 2003 by Rabbi Avi Weiss, and the article New Excavations At Chelmno Death Camp, posted by Shmuel Ben Eliezer in September 2007. 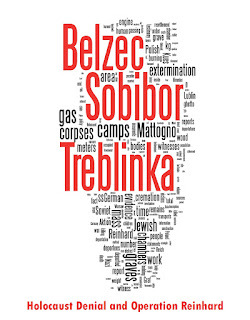 However, as I pointed out in my previous update, such considerations have not hampered archaeological research at the former extermination camps to the extent of preventing archaeological investigations that led to identifying the mass graves and establishing their size and contents, namely at Chelmno, at Belzec (both of which camps, incidentally, have disappeared from the NAFCASH challenge – Gerdes must have got cold feet) and at Sobibor, though in regard to the latter the absence of a published detailed report on archaeological findings still feeds "Revisionist" conspiracy theories and other rhetoric. What the fellow is talking about here is obviously the Yahad in Unum project of Father Patrick Desbois, regarding which he or his source are either misinformed or lying in two respects. Yahad In Unum has identified and documented relatively small ditches with less than one-thousand victims, mid-sized ditches holding up to ten-thousand victims, and large sites of extermination with over eighty thousands victims. 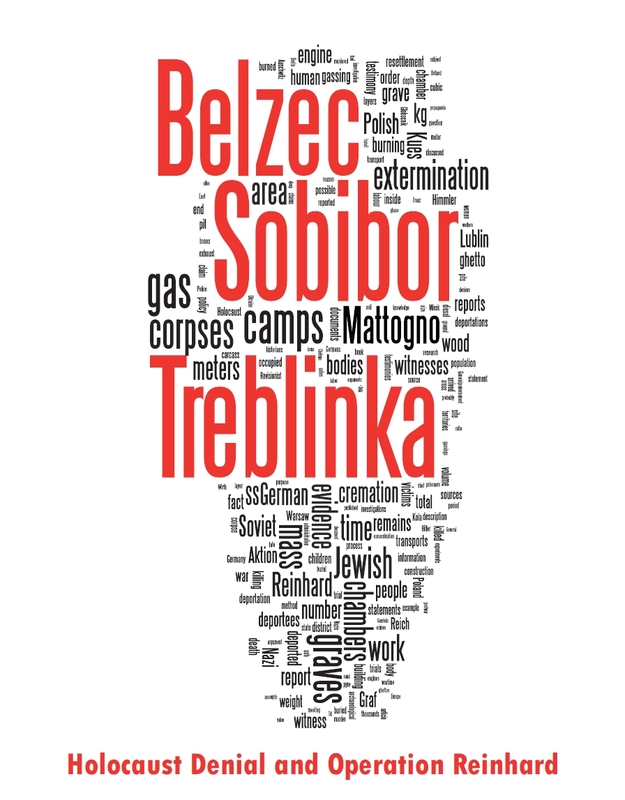 By October 2007, when this article appeared in the New York Times, Father Desbois had "videotaped more than 700 interviews with witnesses and bystanders and has identified more than 600 common graves of Jews, most of them previously unknown". In cases where the eyewitnesses are unsure of the precise location of a jewish mass grave, test digging is done in a two square meter area. Oftentimes, several of these test diggings are required in order to find the location of a mass grave. In one particular instance, eighteen test digs were needed. The Nazis buried their victims at a depth of at least three meters, which makes the identification more difficult. According to the eyewitness testimonies, the digging of the ditches took an average of five hours and was done by peasants who arrived very early in the morning. The depth of the mass graves also explains why it was exceedingly rare for any survivors of the shooting to escape from the mass grave after it was covered with dirt and the nazi mobile killing units had moved on. Once the first bodies are encountered they are left in situ and not disturbed. The bodies are photographed as evidence and any bullets and other ballistic evidence retrieved from the site before the grave is covered up and camouflaged in order not to allow graverobbers to loot and desecrate it. Yahad In Unum’s purpose in identifying and excavating a portion of the mass graves is to document the evidence, provide proof of the mass grave’s existence, and mark the site by GPS. Yahad In Unum has obtained the authorization for this part of the work from the Lubawitscher rabbis of Ukraine. Detailed information about the results of Father Desbois’ project is available in his recently published book, which I have on order. Mr. "grenadier" could have done something about his woeful ignorance by just reading some of his "Revisionist" scripture. The more often and intensely "Revisionists" repeat such pious prayers, the more I wonder to what extent they really believe their own BS. Meanwhile, on the VNN thread Archeological Investigations of Treblinka, Greg Gerdes continues showing what a charlatan, coward and obnoxious crackpot he is. See my post # 1300 on that thread.